dragon bowed and sad. Also note the incredible size of the eluvian and statues. Flemeth: I am sorry too... Old friend. This week, I'm going to jump around a bit so that we can take a close-up look at perhaps the most important and surprising scene in Dragon Age: Inquisition—the epilogue meetup between Solas and Flemeth. This one scene and its revelations manages to change everything we thought we knew about the story we just witnessed, and it's a brilliant way to end the game. Perhaps no other game ending has ever, for me, compelled me so immediately or quickly to replay as that one single scene. How could I not? I just found out the quiet elven guy wandering around next to my Inky for the past 130 hours or so (yeah, I'm a slow player) was an actual ancient elven god. onward, here? That's my take. Meanwhile, while I've been progressing through DAI in my analyses here in a pretty linear, roughly sequential manner, the more I thought about this scene, the more I felt it was worthwhile to address it sooner rather than later, since it really offers so much opportunity for analysis and subtext, as well as massively changing forever what we thought we knew about both Solas and Flemeth. So let's go to that mysterious Temple together, and take another look, shall we? I'm going to split this analysis into two sections: Facts, and Guesses. There is a wolf statue to the left of the Eluvian, and a dragon statue to the right of the eluvian. The wolf is on the left (as is Solas) and the dragon is to the right (behind Flemeth). 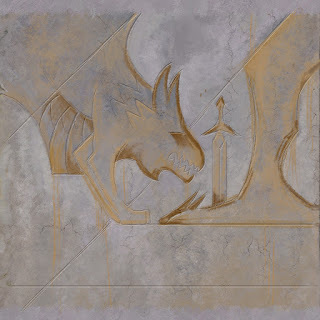 Not only do the wolf and dragon symbolically echo Solas and Flemeth's literal situation here, but they also call thematically and directly back to the unfinished mural in Solas's rotunda. Interestingly, note the symbolism of the two statues here in how they appear. The wolf is triumphant and howling, nose to the sky, while (as with the statues at the Temple of Mythal) the dragon's head is bowed, its eyes lowered. The dragon appears either sorrowful, submissive, or defeated, depending on how you interpret its attitude. The bowed head of the dragon is a reversal of the final panel that Solas painted—the wolf with its bowed head, in deference and grief for the slain dragon. Again, this shows that Solas knew or feared the task ahead of him—that Flemeth would in fact have to die (my guess is temporarily) to give him the power-up he needed. The magic or life-force that flows into Solas from Mythal here appears to be of the same essence as what Mythal took from Kieran (if he was present earlier in your playthrough), as well as of what Mythal put into the eluvian. But this power is far greater, to the extent that Flemeth literally turns black (skin, clothing, everything) as Solas gently lays her down upon the ground upon her death. When Solas raises his eyes, there is magical smoke boiling from them—again, this is pretty powerful magic we're seeing. 'trees' of the Crossroads/eluvians—could this be the Temple of Fen'Harel? Based on the flooring, surroundings, vegetation, architecture, and eluvian, I'm certain that they're meeting in another temple in the Arbor Wilds. You can see the red jungle flowers, trees, and vegetation as Solas walks up. It's apparent when Solas approaches Flemeth that they are in a temple similar to the Temple of Mythal, however here we have a wolf statue design we haven't seen in a major temple before, as far as I remember. The Temple of Mythal had Fen'Harel statues, but they were not of howling wolves, but rather the more benign "wolf at rest" statue varieties that we've seen standing guard all across previously elven areas of Thedas. 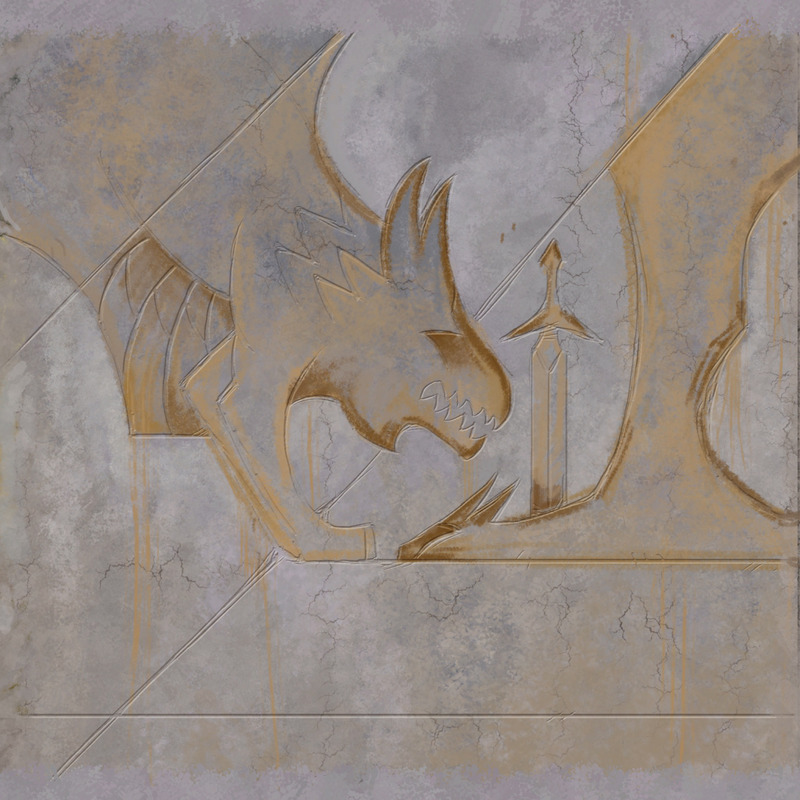 For this reason, my guess is that we may very well be seeing the Temple of Fen'Harel. It's an exciting possibility, at least! The presence of the massive eluvian with wolf and dragon on guard. We see several elements here we once saw in the Temple of Mythal: The pale golden tiled floor, the orange flowers along the path. It's interesting to note that the eluvian is active through the entire scene. It made me wonder if Mythal/Flemeth's soul was there, watching. The central eluvian is also absolutely gigantic (as are the flanking statues)—over 50 feet in height. We haven't seen any eluvians that size thus far in any of Dragon Age, as far as I know. Even in Trespasser, there are no eluvians anywhere near this size. Next, let's look at the scene step by step. A loving reunion, and a reluctant (yet accepted) outcome. Flemeth puts a pale, glowing wisp into the eluvian. Subtle lines show the wisp's power being pulled away from Flemeth and into the eluvian. Flemeth (without turning around): I knew you would come. You should not have given your Orb to Corypheus... Dread Wolf. Solas walks up the path slowly, a look of sadness on his face. Solas: I was too weak to unlock it after my slumber. The failure was mine. He shows real grief here, and his voice trembles. Solas: I should pay the price. But the People... they need me. He lowers his head, and Flemeth reaches out and caresses his face. They lean toward one another, foreheads touching, and his hands encircle her face as well. Solas (voice breaking): I am so sorry. Flemeth (gently): I am sorry as well... old friend. Solas pauses visibly for a moment. Then looks up to meet Flemeth's eyes, and as he does so, the magic begins and he is visibly pulling the same magical essence from Flemeth that Flemeth did (on a far smaller scale) earlier with Kieran (if he was present in your playthrough). person he once tore apart the world to avenge. The entire feeling of the scene is intimate, sorrowful and loving. These two people know each other so well that they touch one another with ease and deep affection. Solas is penitent, regretful, and visibly sad. Flemeth seems sorrowful as well, yet accepting. The voice acting here by Gareth David-Lloyd (Solas) and Kate Mulgrew (Flemeth) is as always superb—the love and sadness between the two is really palpable here. But my favorite aspect of this scene is the physicality of it. I love the way Solas walks in—every line of the way he walks wearily up to Flemeth shows that he is grieving, regretful, guilty and sad (kudos to the Bioware artists and designers, especially those envisioning and handling character movement, because there's so much beautiful work here). I've seen so many interpretations of this scene's meanings, so I wanted to clearly set forth mine, as well. 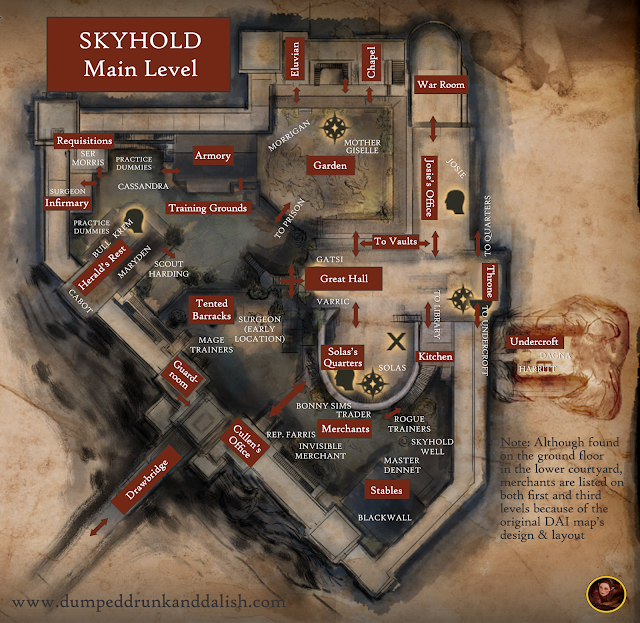 The meeting is the next step in a series of steps already planned by Solas and Flemeth. Therefore, both are aware that one of them will have to "power up" the other for the next stage of their plan. This is further backed up by Solas's unfinished fresco—he is aware of what he will have to do next. Solas loves Mythal. He once sealed away the Thedosian versions of heaven and hell and shook the world to its foundations in order to avenge her murder. Now his own mistake, in getting the Orb to Corypants, means that he himself will now have to take her life (or one of her lives—Mythal's like a cat!). As he implies, Solas is willing to be the one to die here, but (I'm guessing) they have no choice, as he is the only one of the two of them with the power to: (1) control the eluvians, (2) walk/manipulate the Fade, and (3) restore the Veil. Flemeth isn't surprised in the least. She does not fight, pull away or show any emotion other than loving regret. She is sorrowful but expected exactly this (hence, her saving a little piece of herself in the wisp in the eluvian). For me, this is yet another variation on her hiding herself in an amulet in the beginning of Dragon Age II. the Dread Wolf bows to the fallen Dragon. Ultimately, for me, the most important aspects to the scene are the strong implications that this meeting was planned, that Flemeth and Solas both knew what would take place, that Flemeth reacted without malice or anger at what came next (and she may yet survive, thanks to the wisp—and don't forget Solas's comment in "Trespasser:" "The First of my People are not so easy to kill. "), and that there is palpable love between the two. Solas's final moments with Flemeth, above. I also think it's important to note that Solas doesn't treat this as a moment of combat or victory. He embraces Flemeth gently as he takes her power (and there's a gorgeous wide shot where we can see him at the center of the whirlwind between the statues as the transference takes place), then lowers her body gently to the ground afterward. Solas then bows over her body in what I see as a clear moment of grief (and perhaps respect)—again, remember the unfinished fresco from the panel in Solas's rotunda, of the wolf bowing in grief over the body of the dead dragon! Here we see that moment (once symbolic) now literal. Solas contains the new power and magic, even as smoke boils from his eyes. Then Solas raises his head to show that his eyes are blazing with new power, and that's the end of DAI, giving us a whole lot more to think about. Am I on or off-base here? How did you interpret the scene? I'd love your thoughts or comments!